A tribute to a major photographic genre's success in capturing in permanent form the most ephemeral of the arts. Over 200 reproduced duotone plates reveal dance in all its aspects - from many countries and periods, from classical ballet to rock and roll - photographed wherever dancers waltz, tango, tap-dance, pirouette, stomp, jive or kick up their heels for joy. The great dancers are here - Nijinsky, Fred Astaire, Pavlova, Fonteyn and Isadora Duncan among other immortals; but so too are the anonymous, captured in a Parisian nightclub or at the Roxy, New York, an Amsterdam street cafe or simply dancing alone by the seashore. The wide range of photographers include Gordon Anthony, Barbara Morgan, Beaton, Degas, Genthe, Steichen, Horst, Man Ray and Helmut Newton. Introductions to each chapter and detailed notes on the photographs provide essential background about the dancers and photographers. 2. 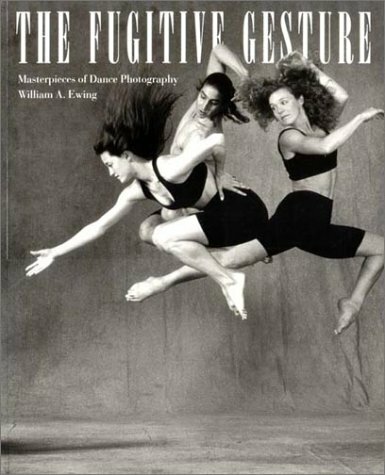 The Fugitive Gesture: Masterpieces of Dance Photography Ewing, William A.